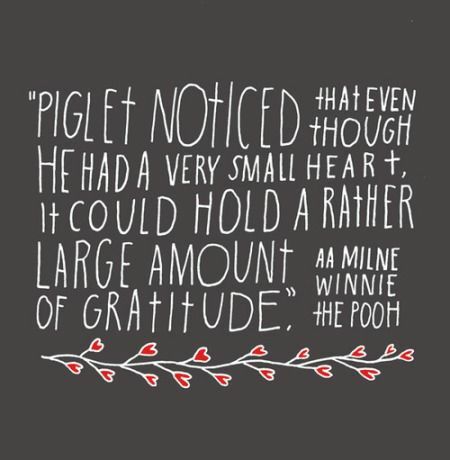 Today I wanted to post about gratitude. Since it is Thanksgiving month, rather than highlight one quote, I am going to post several that I like. 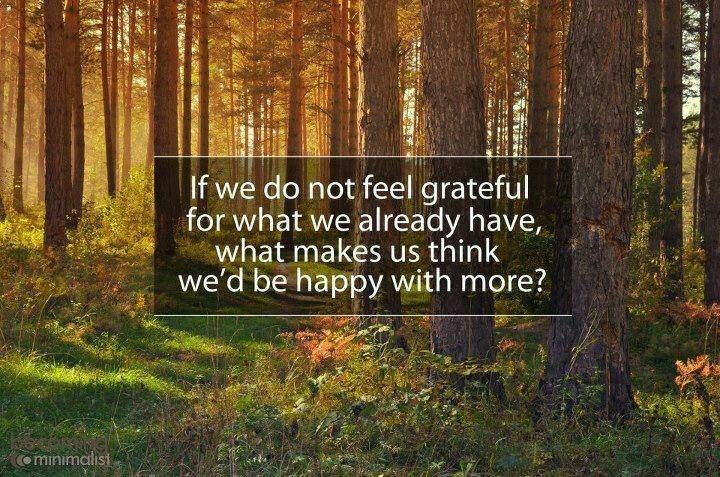 If we do not feel grateful for what we already have, what makes us think we’d be happy with more? Commentary on that–I fond this on Pinterest and the comment on it talked about raising four children in a one bedroom house. This idea is something I often think about. My grandmother raised seven children in a very small house with only one bathroom. There were four bedrooms–three for the kids. She also did this in Wyoming where it is real winter for about 8 months of the year…in other words, very little playing outside happening. 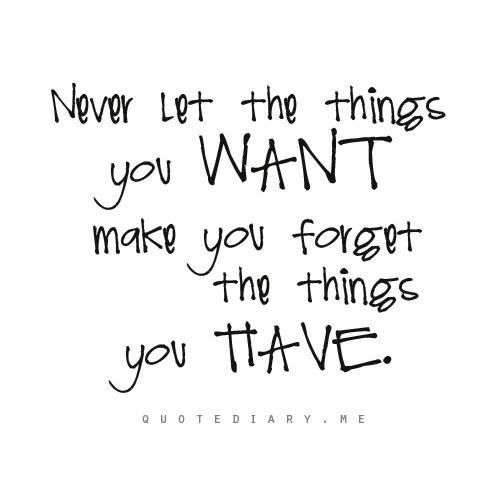 I try to remember this when I start to think about what I “need” in my house. Instead of getting mad at someone, show gratitude. Instead of looking at what you don’t have, look at what you do have. I thought that was a great list! 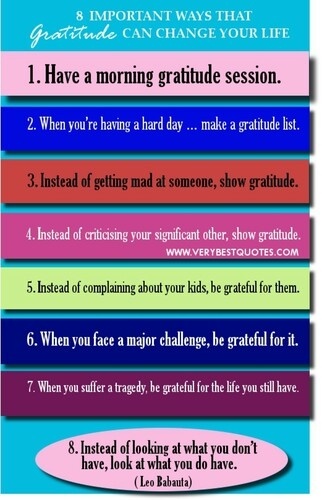 I love thoughts on gratitude. I think this quote is so true. I have written a post titled It’s All About Perspective. It is! How life is for you is largely based on your own perspective of life. Perspective is important, and gratitude helps make that perspective a positive one. If you are grateful for all you have rather than wishing away what is before you, then your perspective on life is great! You have optimism. You are thankful for the good things in your life. I really think that there will be very few, if any, moments in life where everything is perfect. Where you could literally not want or need anything more than you have. Where every child is sleeping perfectly, obeying perfectly, and is perfectly happy. Where you want and need no material possessions. Where every relationship you have is in perfect harmony. Where you have the right balance of things to do to keep life interesting; not too few so that you are board or too many so you are overwhelmed. Your income is just right. The elected official you wanted is in office. It would just take a lot for everything to line up just so. And so, to be satisfied, happy, and content with life, we need to have the proper perspective on life. 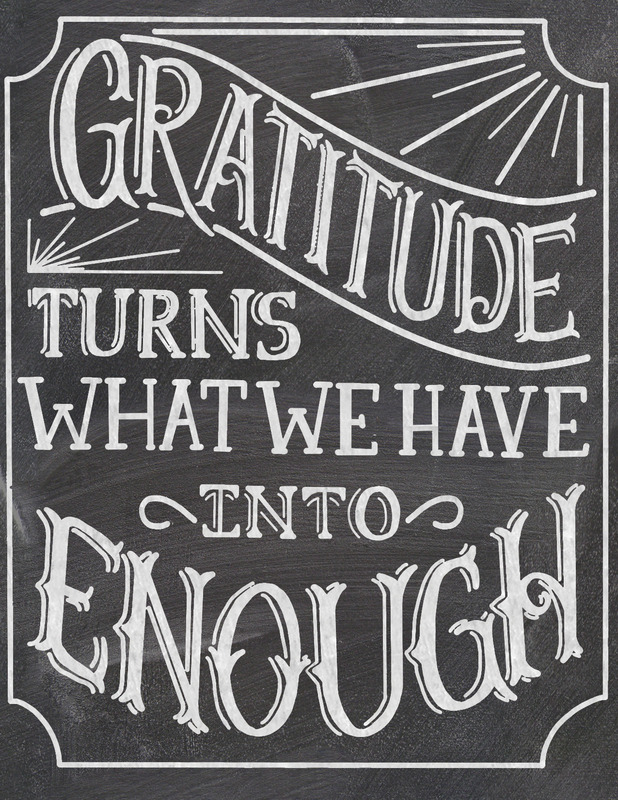 We need to have gratitude for what we do have. When we do, what we have is enough. No, things aren’t the portrait of perfection, but they are certainly good enough.